Baited sites with opportune areas to place your portable stands for optimum hunting or wildlife viewing with photography opportunities. 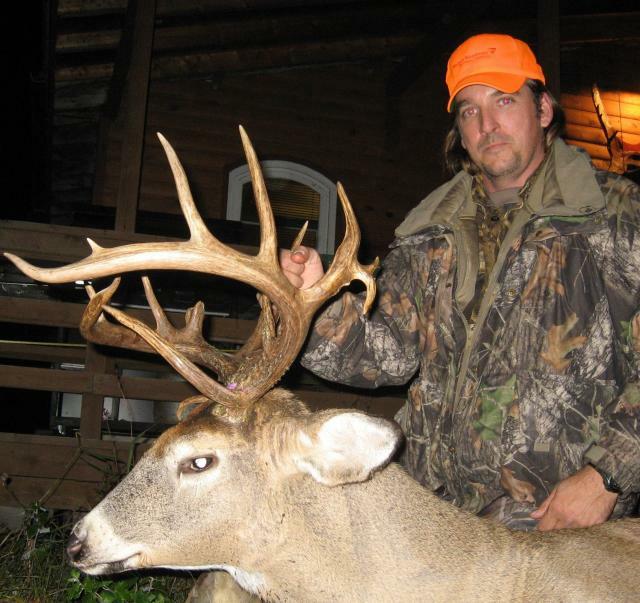 Portable Deer Hunting Stands can be set up in most of our hunting sites to allow an opportunity for harvesting a Trophy Buck with Archery Equipment as well as rifles and other firearms such as Muzzle Loaders. The success rate for this camp has always been excellent. 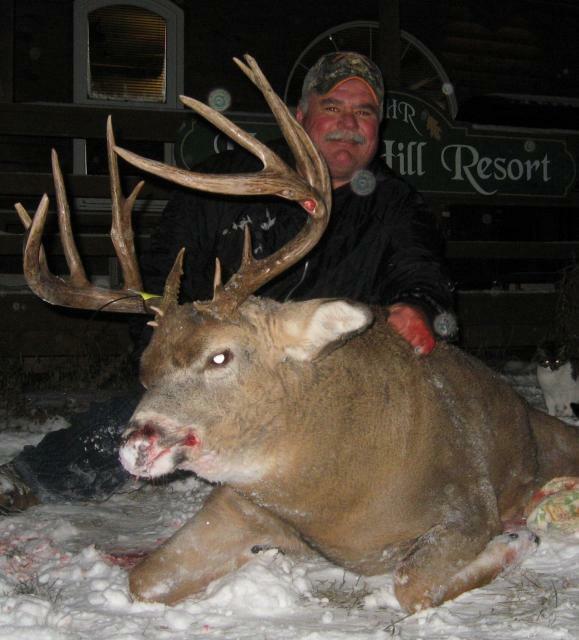 We will do everything we can to bring in the bucks … but remember, we can’t guarantee the weather or your hunting skills. 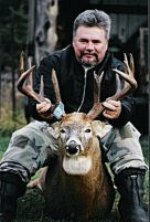 2019 RIFLE, Muzzleloader Nov 2-15th - our rifle hunt week starts Friday Nov 1. 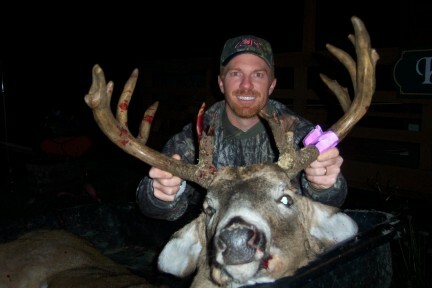 Non-resident deer hunters have to be guided; however the guide does not physically stay with you all day. Check in between 2-9 pm; Check out by 9am on last morning. Cell Phone capabilities, depending on your carrier / provider. * If your State does not allow Head or Spinal Column We can even help arrange professional processing and wrapping of your Venison deer meat at a local butcher for you – or for them to cape your deer for you. 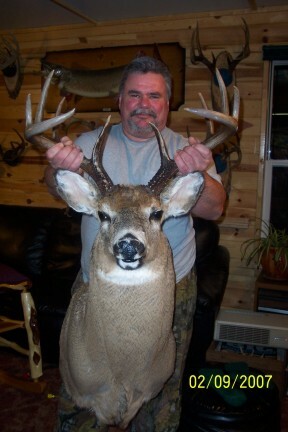 A picture will be taken of you and your Trophy Whitetail Buck that you can take back with you, or a picture mailed to you after professional developing. We can also e-mail them to your friends & family back home for you. These pictures may later be seen on our web-site and in our photo albums or advertising. If on a meal plan "all Meals" is Breakfast in "morning TBD", a bag Lunch of sandwiches, dinner at "dark TBD". There is not a menu to choose from. Dinner meals include Soup, potatoes or pasta or rice + vegetable + salad + water or pop on hand + dessert. 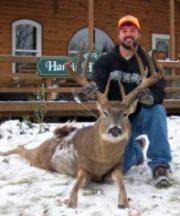 Export Permits to take home your Trophy Whitetail and your Venison are available at the Lodge, as well as your Hunt Licenses. with 3 subsequent Checks by arranged dates.